Listening to music is not a difficult thing these days. There are literally hundreds of resources online to download a single track in MP3. Having a MP3 file of your favorite music on your devices is somehow very satisfying because you know it will stay in there for however long you want. But music streaming services like Spotify are giving a tough competition to MP3 music because of the offline listening feature, but it comes at a minor upgrade price. Unless you are willing to pay Spotify for offline access to your music, there are some alternatives in which you won’t have to spend a penny and still, you’ll be able to download Spotify music. 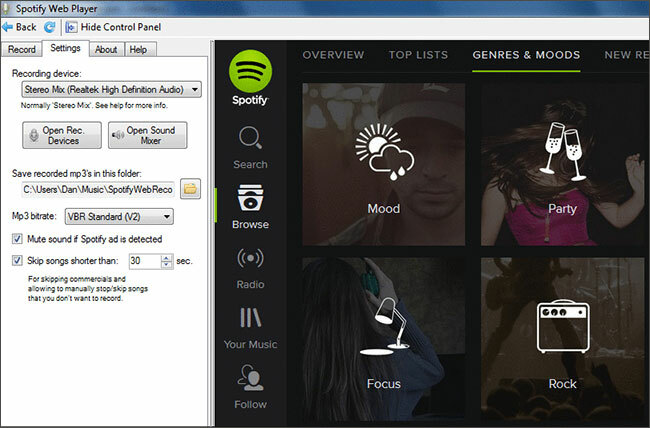 Here are top 6 Spotify downloader online or desktop programs to download Spotify music. 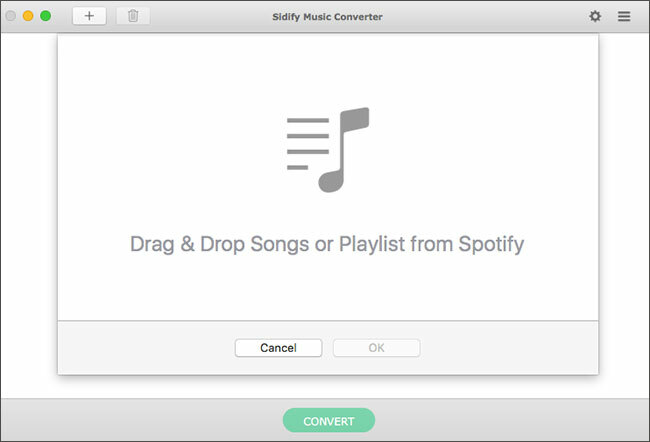 Sidify is a great software to download your Spotify music and convert it into different audio formats. Using this software is pretty easy and you just drag and drop your favorite Spotify music or playlist and start the conversion process in seconds. This software boasts of having 5x faster conversion speed, but that is not really the case because there was a noticeable difference when playlists were larger in size. Spotify music can be converted into MP3, AAC, FLAC, or WAV. They makers also claim that it creates 100% lossless audio files. Mac OS and Windows supported. 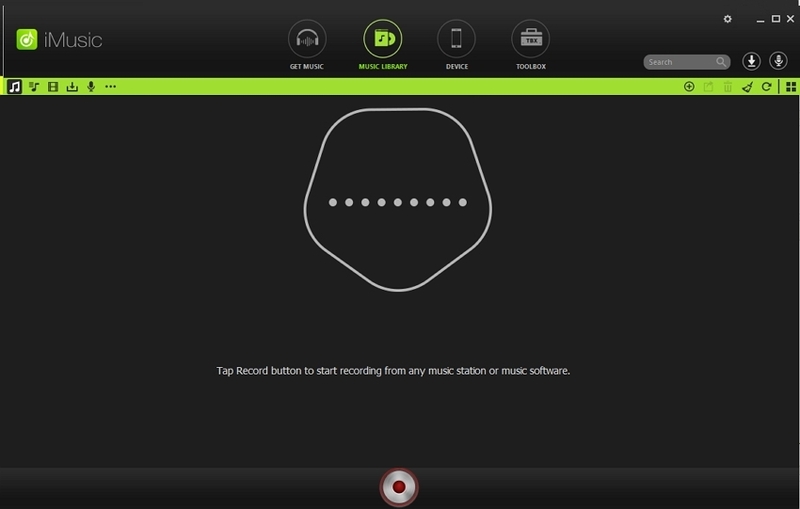 This software automatically detects any audio playing on your computer and records it. 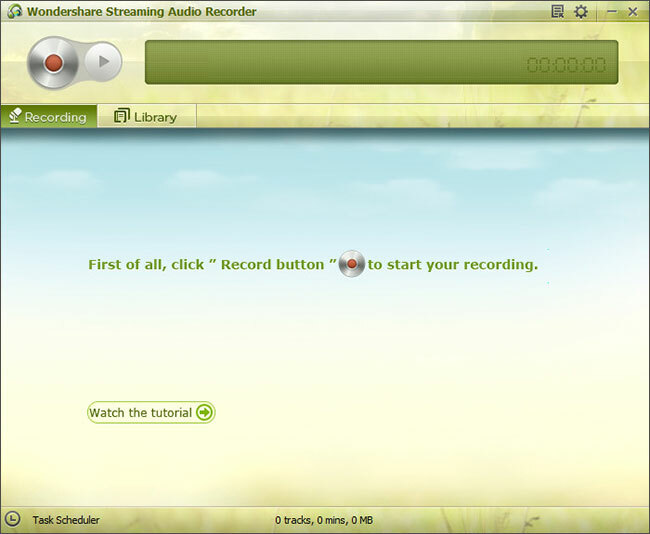 Wondershare Streaming Audio Recorder is general purpose recording software which can detect the music stream playing on your computer and records it. Spotify is a part of its huge variety of supported platforms. It supports many streaming websites out there. You can easily record a whole playlist from Spotify and split the tracks with an intelligent splitting tool. With it's easy to use ID3 tag editor, any ID3 tag can be modified to your liking. Recorded and converted files have almost the same quality as the original track. But there is an issue with their ads omitting feature. When you set it to omit ads, sometimes it puts a small bump in the track due to this feature and it is clearly spotted in the track. Files are converted to MP3 or M4A format. This is actually a Google Chrome app which can make your life a lot easier by searching for the relevant Spotify song in VK community database and if a match is found, it is available for the download immediately. Community database mostly contains the songs recorded from Spotify already so instead of recording the song itself, VK Downloader finds you an already recorded song. This type of extension is only possible due to some very dedicated contributors who constantly keep the community database updated with the latest tracks. The only problem with this software is that you have to register on VK social network which can be very frustrating for first-time users. 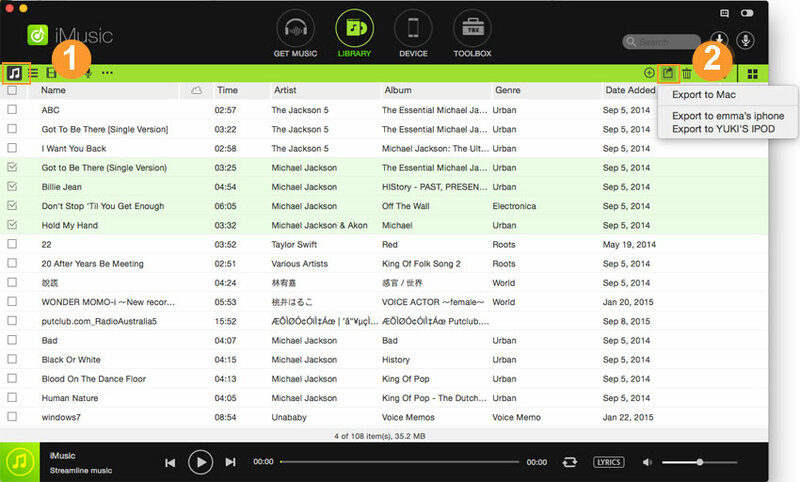 Spotify Web Recorder is an open source solution to record and download Spotify music songs. The songs are then converted into MP3 or VBR. It can easily record songs from Spotify Web Player. This open source solution has a lot of advantages compared to some other software in the market with a hefty price tag. One main advantage is that it contains and integrated web browser to make it easier for you to use Spotify Web Player. Another good thing is that it can detect and skip Spotify ads flawlessly. The only disadvantage is that converted audio files are of mediocre quality and there is no promise of 100% lossless audio. This is another open source solution to record Spotify music, but it is still in beta phase. It is currently working on Windows7 64 Bit and there is still a lot to be done. 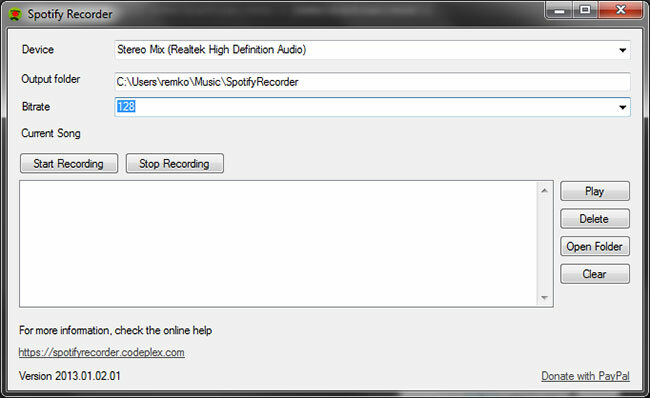 Functionality wise, this software is great and can perform exactly like Spotify Web Recorder. But due to its limited cross-platform support and occasional bugs, this software is not much preferred by the users. 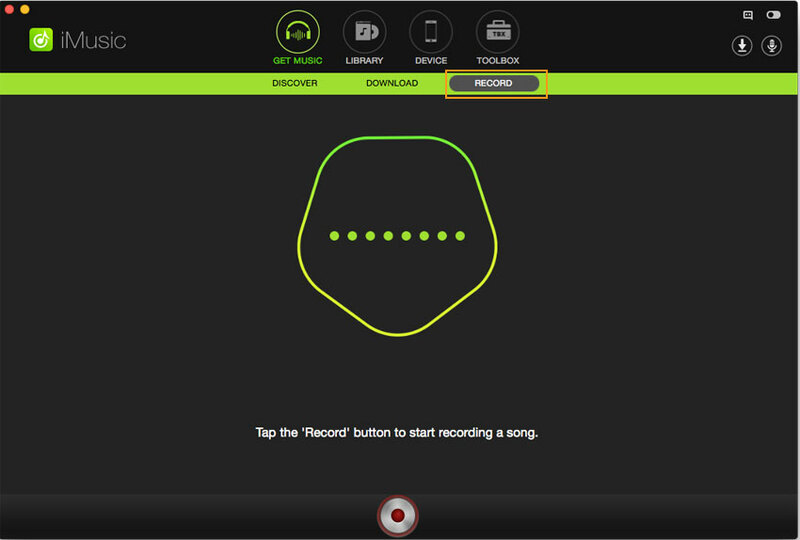 It’s simple and powerful interface is what makes Spotify Recorder worth mentioning. This is the best software you can have to download Spotify music. 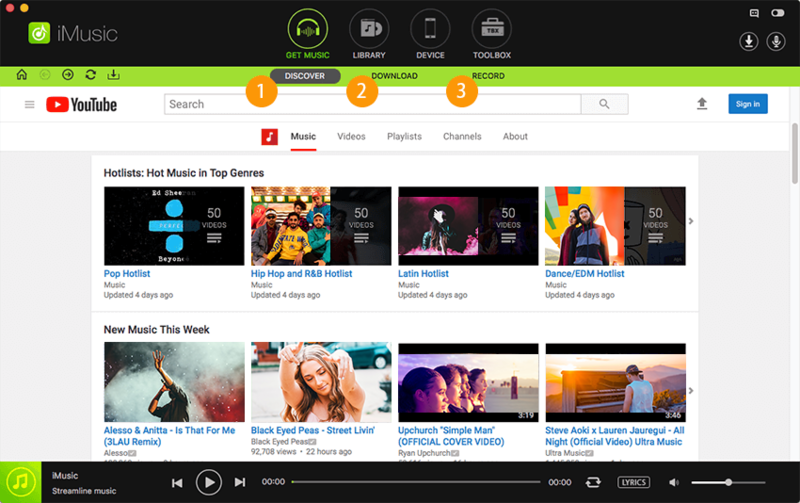 iMusic is regarded as the best desktop software to download Spotify music. The software performs really well in all departments. User Interface is really easy, conversion takes no time and sound quality of converted tracks is the highest quality without any loss. Moreover, Spotify ads are skipped intelligently without producing any bump or distortion in the music. After you download your favorite Spotify music, you can easily transfer it to any Apple iDevice with iMusic because downloading Spotify music is one of many features of this software. It is also a music manager for all of your Android and iDevices. You won’t have to go through the hassle of separating the files and transferring through iTunes or similar software. This software is available for both Windows and Mac. Step 1: Download iMusic software and install it following the on-screen instructions. After the installation, run the software and click on “Get Music” tab. Inside Get Music, there are 3 options. ‘Discover’, ‘Download’ and ‘Record’. Click on ‘Discover’ and then click on ‘Top List’. Latest and hottest music from Spotify will appear with a download option. 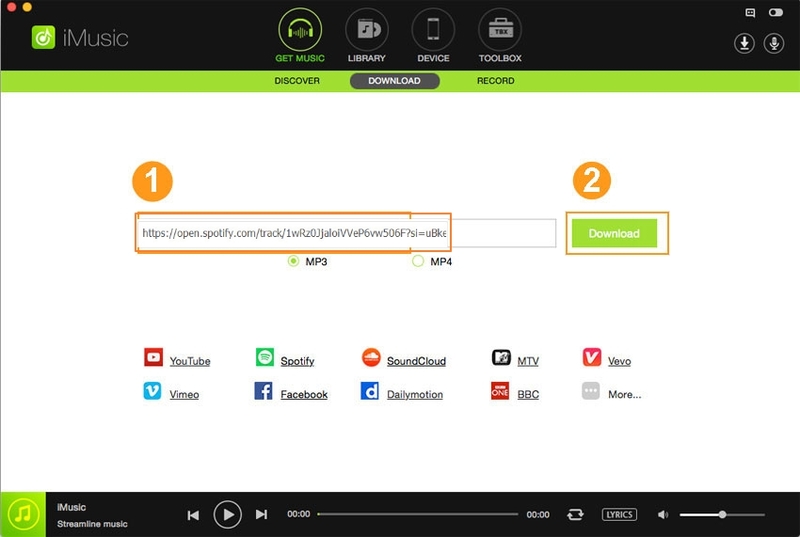 Step 2: You can also download Spotify music from a website link. 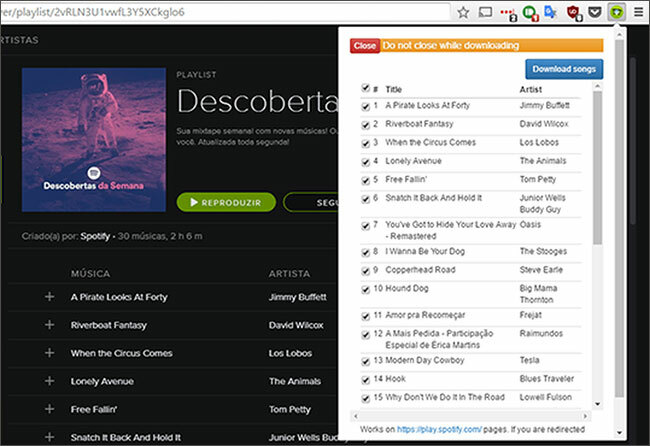 If you like some track on Spotify online, just copy the link and click on ‘Download’ option inside ‘Get Music’. Paste the link and the track will be downloaded. Step 3: If you are using iDevices, then all of your Spotify downloaded music will be transferred to iTunes playlist. You can also record music with iMusic. Click on the ‘Record’ option inside ‘Get Music’ option. Now play your favorite Spotify music and iMusic recorder will take care of the rest. 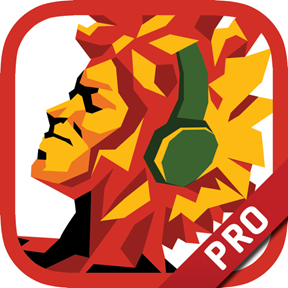 Recorded music will be converted and saved in your iTunes or iMusic library.